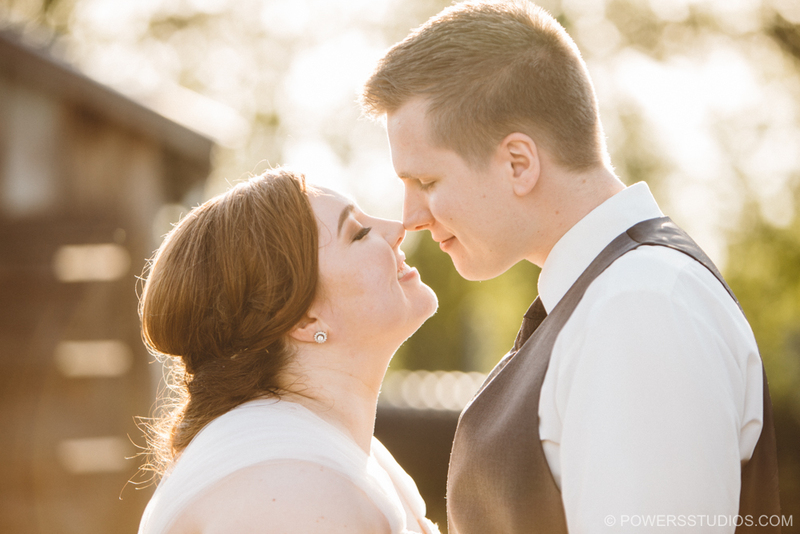 Lucas was so excited to see Marie on their wedding day he couldn’t stay hidden & had to peek when she was walking up for their first look at Edgefield. It was really sweet! We had a great time shooting around Edgefiels then an exciting double-decker buss ride to the UP campus for their ceremony in the campus chapel. Watching Lucas tear up when their friends were taking communion was so heart warming. Their ceremony was great & went smoothly… well, mostly. Father DID need to remind Luke to kiss Marie! Thanks to DJ Paradox and his amazing wife Jen the reception was a great success with the perfect music, dancing, toasts and wonderful food. “It was amazing! Erin and Seppi were wonderful to work with. I am So happy that we were able to have him as our photographer. He helped both of us relax in front of the camera, I thought the quiz to find the best photographer for us was truly attention to detail.